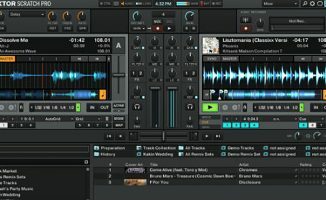 In this week’s article, I walk you through your first day with Traktor Pro 2; getting it installed on your computer, connecting your DJ controller, and getting your music onto Traktor’s library. In the final instalment of our “Your First Day With…” series, we take a look at Native Instruments’ Traktor, undoubtedly one of the most popular DJ apps today. Just like in the previous articles and videos, I’m going to walk you through your first encounter with the software; downloading and installing it on your computer, hooking up your DJ controller if you have one, and getting your music onto Traktor’s library. Traktor Pro 2 is Native Instruments’ flagship DJ software. 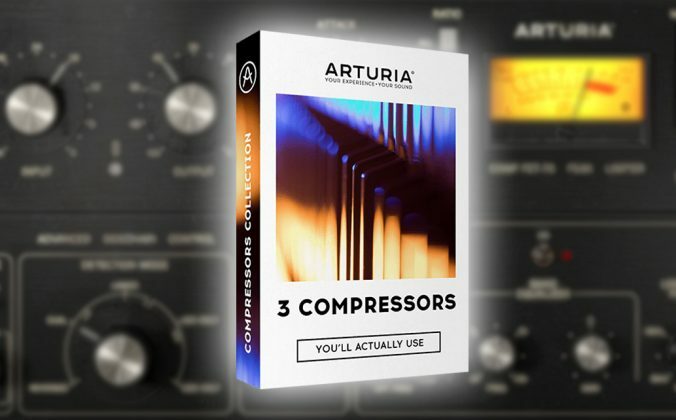 A time-restricted demo of this is available at the Native Instruments website, letting you try it out for a few minutes before you have to restart it. Traktor Pro 2 is Native Instruments’ flagship DJ software. It’s the present-day evolution of Traktor DJ Studio 3, which was discontinued in 2008. 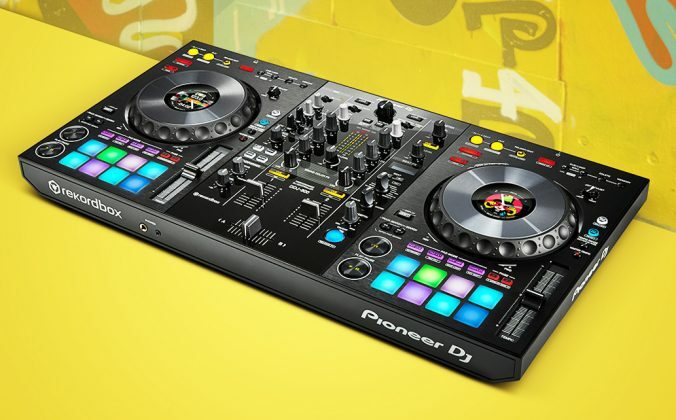 This is the software that comes bundled with Native Instruments’ own Traktor Kontrol S4 and S2 controllers, and comes with all the bells and whistles like Remix Decks and mix recording. 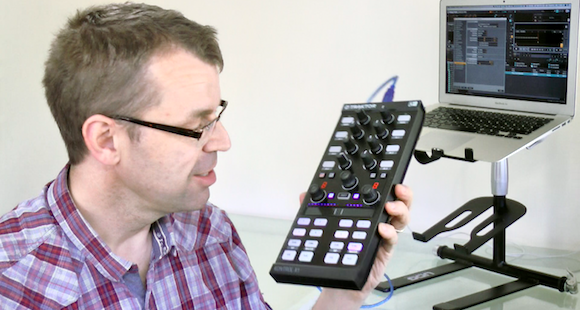 Unlike Serato DJ, which has an ongoing list of licensed compatible controllers, and unlike Virtual DJ 8, which needs a specific licence in order to use it with any controller, Traktor Pro 2 works with any controller as long as it’s Midi class-compliant, meaning you can make anything (even a guitar synth!) work with it, provided you can map it. 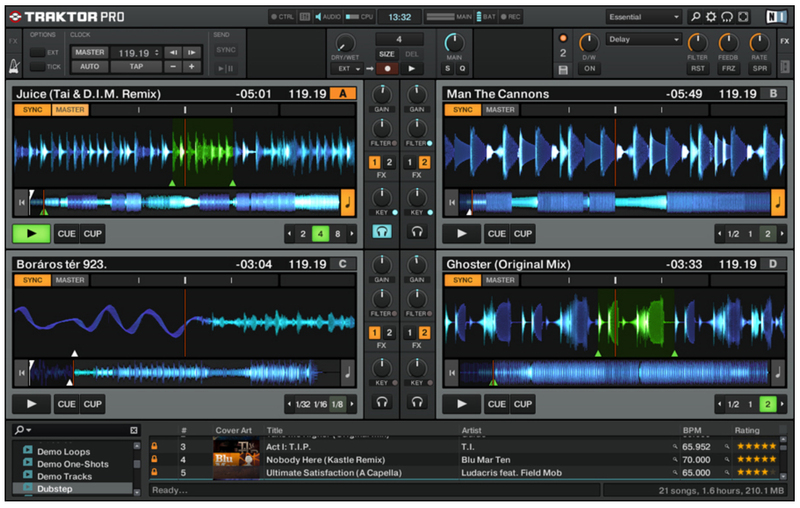 Traktor LE 2 is the “lite” version of Traktor Pro 2, and comes bundled with third-party controllers. You can only mix with two decks and three FX here, but it doesn’t have a time restriction, unlike the demo version of Traktor Pro 2. Traktor LE 2 is the “lite” version of Traktor Pro 2. 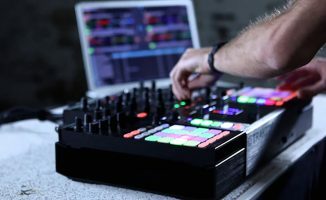 It comes bundled with a small number of third-party DJ controllers (fewer than ever, actually), as well as Native Instruments’ portable Traktor Kontrol Z1 mixer. 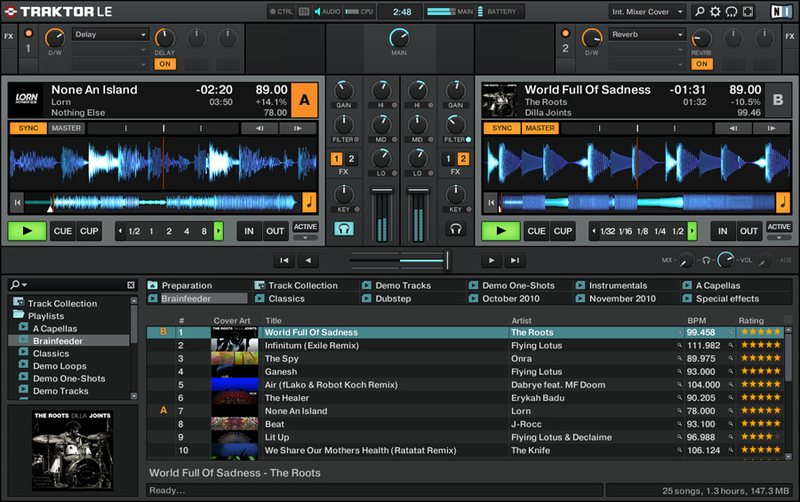 While you can DJ properly with Traktor LE 2, there are certain limitations with the software, such as only being able to mix with two decks and three FX. 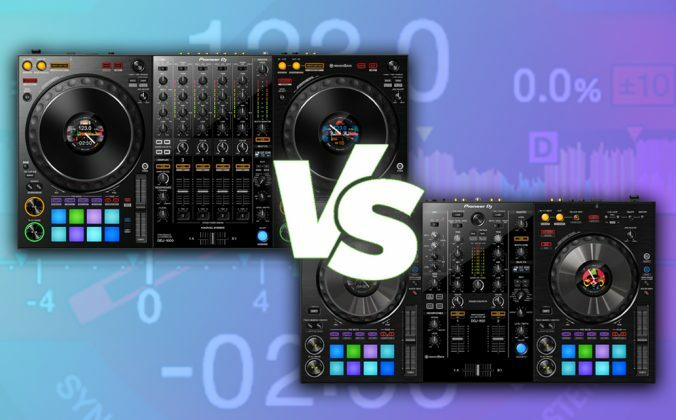 For a comprehensive list of differences between Traktor LE 2 and Traktor Pro 2, check out this comparison chart. Traktor Scratch Pro 2 is the DVS (digital vinyl system) version of Traktor Pro 2. 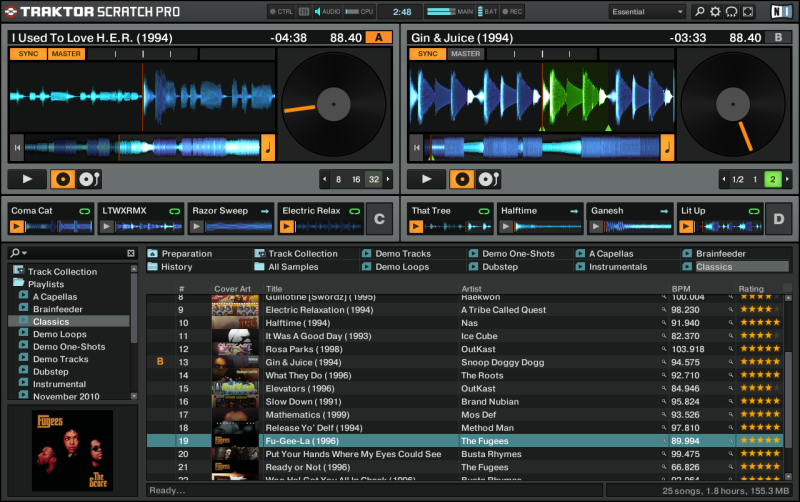 If you want to use turntables or CDJs with Traktor, upgrade to this version. Traktor Scratch Pro 2 is the DVS (digital vinyl system) version of Traktor Pro 2. 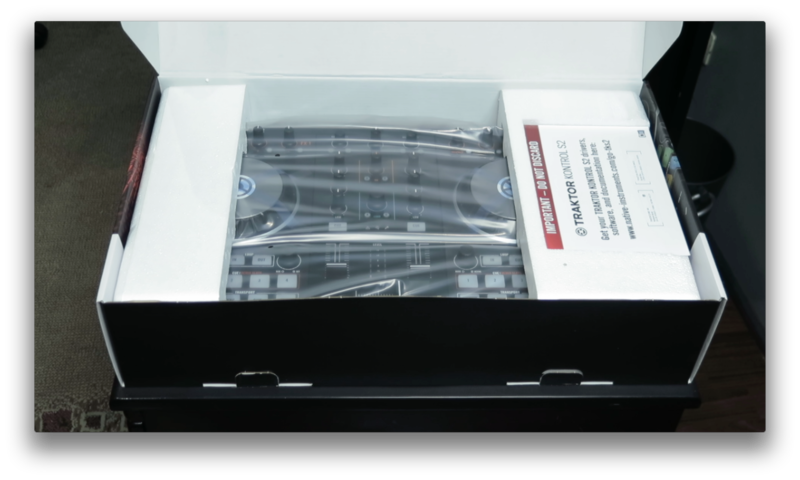 It’s identical to the flagship Traktor Pro 2, with the difference being this package includes two pieces of timecode vinyl and two pieces of timecode CDs for use with a pair of turntables or CDJs, respectively. This is the version of Traktor that comes bundled with Native Instruments’ Traktor Kontrol Z2 two-channel hardware mixer, as well as the company’s Traktor Scratch A10 and A6 audio interfaces. Note that even if you’ve purchased a Traktor Kontrol S4 and have Traktor Pro 2 installed, you’ll still need to pay for the US$99 upgrade to get Traktor Scratch Pro 2 and the timecode package. Also note that you can’t use timecode vinyl/CDs with a Traktor Kontrol S2, as this controller doesn’t have any phono/line inputs to plug your turntables or CD players in. 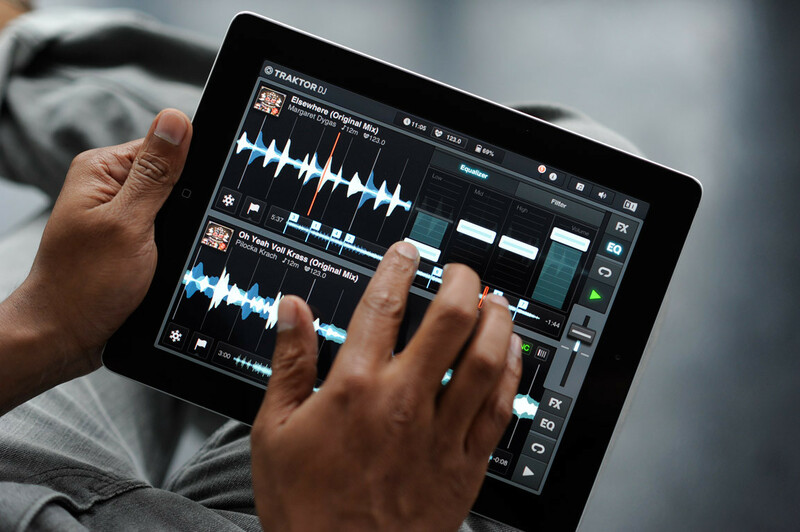 Traktor DJ is the iOS cousin of Traktor Pro 2, and is exclusive for use on iPads and iPhones only. Traktor DJ is the iOS cousin of Traktor. Available on the iPad and iPhone, Traktor DJ isn’t a direct port of its laptop counterparts as it has its own distinct feature set, but you can still use a Traktor Kontrol S4/S2 mk2 with it, as well as the Traktor Kontrol Z1 controller. 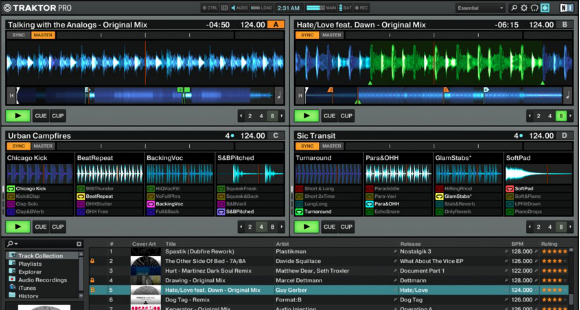 For more information on Traktor DJ, check out our full review. Click on the “Demo” button on the upper right of the screen. If you bought a Traktor Kontrol S4 or S2, the download link and serial number for activating Traktor Pro 2 is located in a pamphlet on the right side of the box pictured here. Once you’ve opened your box, locate the piece of paper that contains your software serial number and download link. Do not throw this away! If you bought a DJ controller that came bundled with Traktor LE 2, go ahead and install it according to your controller manufacturer’s instructions located in the manual. 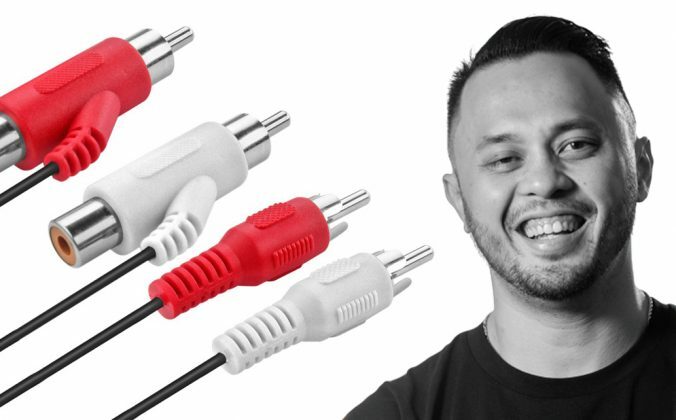 Hook up your DJ controller to your computer using the supplied USB cable. Some controllers have a power switch while others don’t, so check your user manual if you’re unsure. After you’re done installing Traktor Pro 2, it’s time to run it for the very first time. But before you do that, connect your DJ controller first if you’re using one. Remember that Traktor Pro 2 doesn’t need a controller connected in order to function properly. 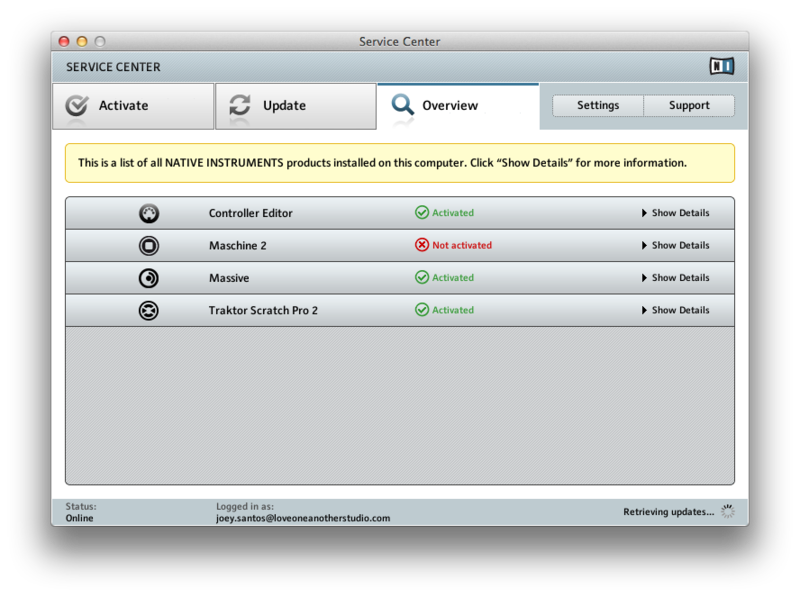 Service Center is where you can activate your copy of Traktor Pro 2. It also doubles as an “updater” for your installed Native Instruments apps. A new window called Service Center will launch. Enter your Native Instruments login details here like you did over at their website. 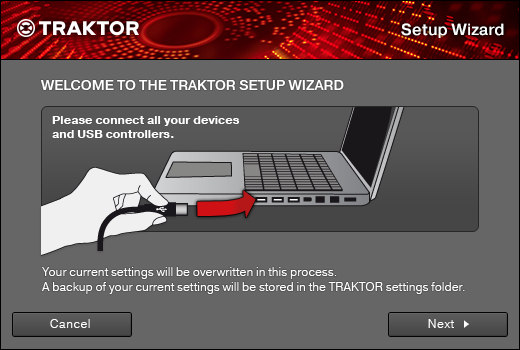 Breeze through setting up your user interface and settings by using Traktor Pro 2’s Setup Wizard. At the top of your screen, click “Help -> Start Setup Wizard” to launch it. Easily connect and configure your controller by using Traktor Pro 2’s built-in Set-up Wizard. 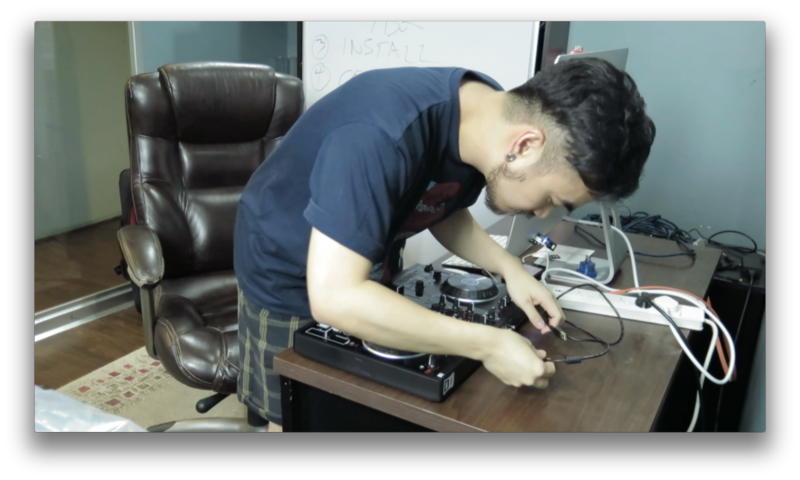 With Traktor Pro 2 installed and activated, plus your controller hooked up to your computer, it’s time to get cracking! You can probably already see a few demo tracks in Traktor’s browser window, so go ahead and drop them onto either of the virtual decks, hit “Play” on your controller, and get spinning! But what about your songs, how come you don’t see them in your browser window? That’s because we still have to get your music library onto it. Here’s how. There are three ways to get your music onto Traktor’s library: Traktor’s browser window, the iTunes tree, and dragging & dropping from a Finder/Windows Explorer window. Let’s get your music onto Traktor’s library. 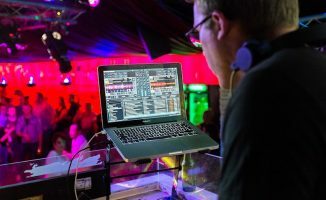 Just like in the previous two articles, there are three ways to do this: You can drag and drop from within Traktor’s browser, from the iTunes section within Traktor, or by dragging a song from the Finder window (Mac) or Windows Explorer (PC). 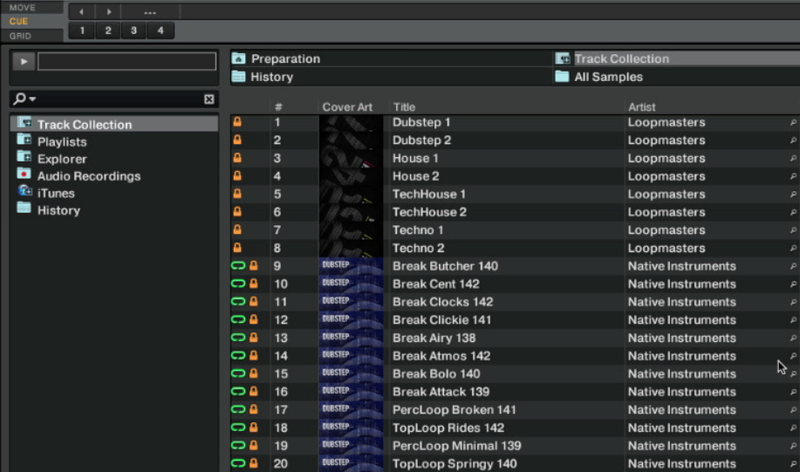 Now that your songs are in Traktor, you should consider analysing them ahead of time. Analysing your tracks enables Traktor to calculate BPM, auto-create beatgrids, and set other attributes and metadata to your music for you. Analysing tracks prior to a DJ set is an essential part of preparation, and one that also saves CPU power as opposed to analysing your songs “on the fly” as you’re DJing, particularly with less powerful laptops. To analyse your songs, highlight the tracks that you’d want analysed, then right-click and choose “Analyze (Async)”. A new window pops up, just click OK for now. You’ll return to the main Traktor screen and see a progress bar at the bottom of the main interface, letting you know how much longer analysis will take. 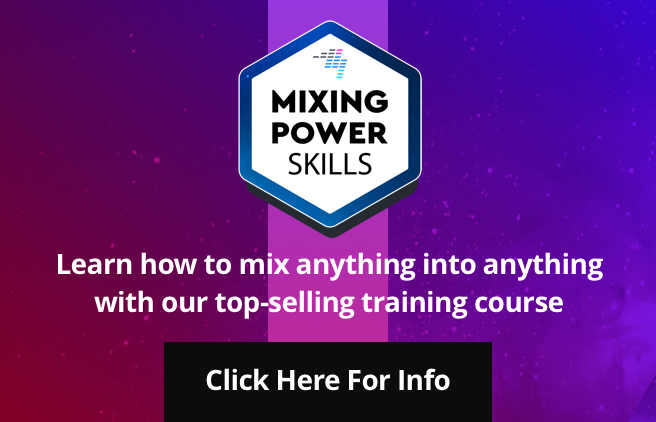 You can mix “In The Box” without a DJ controller using Traktor’s built-in mixer. If you don’t see it, just switch layouts using the drop-down menu on the upper right of the screen and choose “Mixer”. Let’s play some tunes! 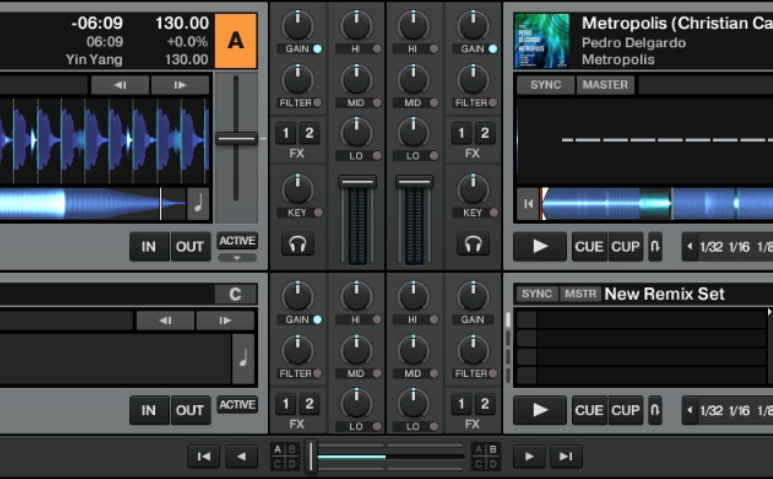 Drag a song from the browser window onto the left virtual deck of Traktor. You’ll see the song’s name appear on the deck, and you’ll see a waveform appear in the middle of the screen. Move your controller’s crossfader to the left, make sure the volume fader is all the way up, and hit the play button on your controller. You should be hearing the song playing back through your speakers. 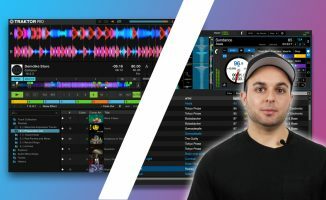 There’s so much you can do with Traktor, and there are also a ton of ways to interact and take control of it. 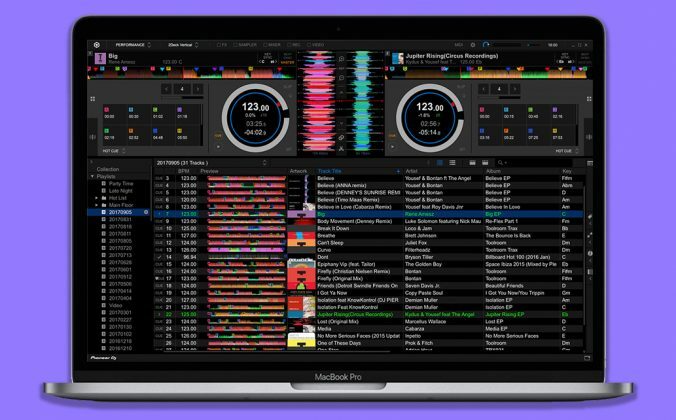 At this point, you’ve installed Traktor Pro 2 on your computer, you’ve activated it (or at least have tried it for the maximum of its time restriction, if you’re on a demo), and you’ve connected your DJ controller. You also have your music library within Traktor Pro 2, and have executed your first mix. Congratulations on getting this far! • That brings our “Your First Day With…” mini-series to an end. 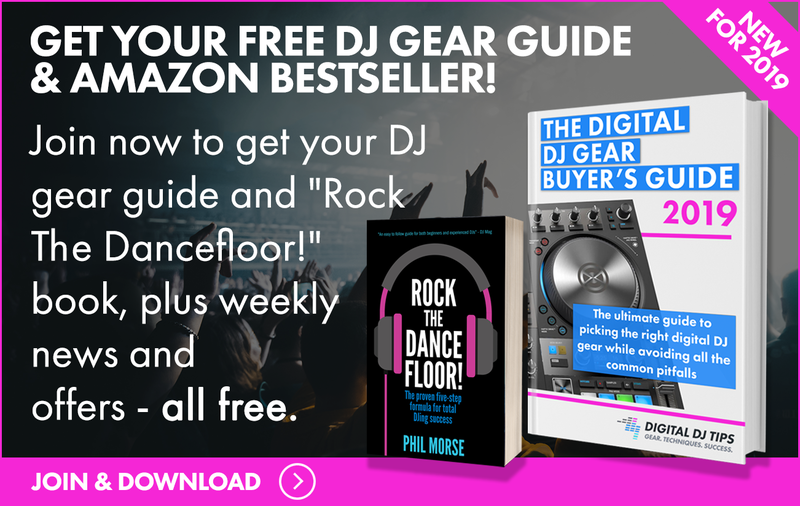 I hope it helped walk you through your first encounter with your DJ software of choice, and I also hope that it encouraged you to try out other DJ software in the market as well! One of the best ways to heighten your DJ skills and overall appreciation for DJing is to get out of your comfort zone (whether it’s software you’ve been using for a long time, or a controller that you’ve mastered) and enter uncharted territory. Like they say, you truly find yourself when you “get lost” in an effort to learn more! Did you encounter any problems getting Traktor Pro 2 up and running? We’d like to know if we missed anything, so go ahead and let us know in the comments below. About loading a collection into traktor 2… I’ve got a huge collection (90k) and every time I start-up Traktor Pro, it takes about 45 minutes to load all tracks. During those 45 minutes I can’t do anything with the program. Just waiting… Anybody who experiences this too? Traktor does a “quick analyze” (not sure what the actual term for it is) if you go into your hard drive and open a folder to play music out of. Try making a playlist in Traktor and dragging all of your tracks in there. 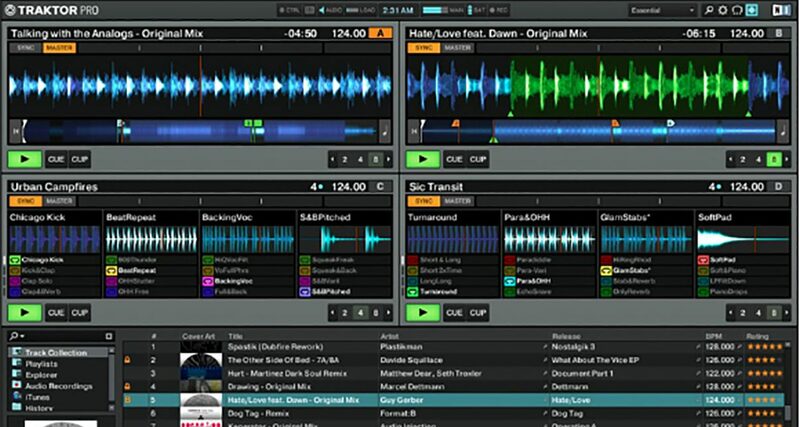 Traktor will just open the playlist and you’ll be ready to go without waiting. I had the same problem as well (but not nearly as much music). There’s an option in the settings that will stop Traktor from automatically loading all of your music tracks. Then do like what the CHAS3R said and manage your Collections through playlists or through iTunes. This series was brilliant and brought back memories. I love my s4 mk2 and traktor but the only thing i did not like about the upgrade was i also has to upgrade my windows from vista to 7 for it all to work. Who needs 90.000 songs in his dj set? By the way it works with itunes as well or you can choose any song you want from your collection anywhere and drop it easily into the player of traktor..
You mean you DON’T need 90K tracks ????? NOW they tell me! Also, why not go for round 2 with: Deckadance 2, TheOneDJ, and Mixxx? Try setting up different playlists with your collection. When people spin vinyl they usually go through their collection the night before and prepare their set by picking out records for the set. Do the same thing with Traktor. After many years of djing, I am now realizing the importance of playlists. Look at a playlist the same way you would a regular track, by the waveform. Build your playlists the same way. This is an underrated part of djing. Can anyone help..I need to know if bundled Full Traktor pro 2 software will allow you yo use 3rd party hardware?